Elderberry, scientific name Sambucus nigra, comes from the elder tree, which is native to Europe and parts of Asia and Africa. It also grows across the United States and Canada. Many cultures have appreciated and relied on the elder tree for everything from musical instruments to food and medicine. In medieval Europe, the elder tree was revered as holy and reputed to have health-preserving and restorative properties. For centuries, folk remedies in the form of teas, poultices, creams, and salves have all been produced from the elderberry and used to encourage good health, alleviate respiratory distress, and soothe irritated skin. Alternatively called the “tree of music,” the wood from the elder tree is hard and well-suited for making instruments. The genus name, Sambucus, actually comes from the flutes the ancient Greeks carved from hollowed elder tree stems. The Sambuca, a large triangular harp from Europe, was also named after the tree from which it came. Woven baskets are another common use for elder wood; twigs are soaked in elderberry dye, dried, and then woven into designs with other twigs of contrasting colors. Other uses for elderberry wood include blowguns, combs, pegs, arrow shafts, and spindles for spinning yarn. Believed to help everything from arthritis to livestock ailments, the elder tree and its products have been used in traditional medicine for centuries. [1, 7] Elderberries and elderflowers have traditionally been consumed or applied topically to remedy pain, swelling, infections, respiratory ailments, and skin conditions. From Europe to the United States, poultices and preparations have been used to expedite wound healing and prevent infection. Although recent science isn't in complete agreement, traditional mindsets have believed that elderberry helps ward off a cold or flu and elderflower tea can break a fever. Although scientific interest in traditional medicine has surged in recent years, Traditional European Medicine is largely unexplored when compared to Traditional Chinese Medicine. Fortunately, Eastern European folk remedies (which include elderberry) have been preserved and passed down. 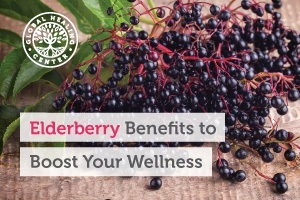 Ongoing studies are evaluating and better establishing the benefits of elderberry. One of the elder’s greatest strengths is the nutritional content of elderberries. Elderberries contain flavonoids that are rich in antioxidants that help protect cells from free radical damage. A diet high in flavonoids can help lower the risk of developing chronic diseases. Elderberries actually rank higher than blueberries, blackberries, and even goji berries in both flavonoids and vitamin C content. Like the berries, elderflowers are a good source of vitamin C but also have immune-strengthening compounds. Elderflower tea can be used to aid indigestion, edema, or a headache. The leaves may ease discomfort associated with constipation as it has a slight laxative effect. Preliminary research suggests elderberry may help offer a positive influence to some symptoms associated with cold or flu, but more rigorous research is necessary to verify these claims. Scientists have noticed a decrease in congestion and symptom duration when conventional therapies are supplemented with elderberry. The compounds in elderberries and elderflowers may reduce mucosal membrane inflammation and help alleviate congestion. In one study, subjects suffering from influenza-like symptoms were given elderberry syrup. Those who consumed the elderberry noticed significant symptom relief about 4 days earlier than the subjects given a placebo. A similar study found that subjects given elderberry extract improved within a 48-hour period. More than a quarter of all subject were completely void of symptoms, and over half showed significant improvement. Only 16% of the placebo group reported improvements and none experienced a complete recovery. Elderberry is also used to brew beverages. Medicinal teas and elderberry wine are made from either the flowers or berries. Sambuca, an Italian liqueur, is made with anise, and elderberries. Socat?, a traditional carbonated Romanian drink, is made by boiling elderflowers with lemon and sugar and fermenting the mixture for 3-6 days. Raw berries are not often eaten intentionally because they tend to taste tart or bitter and can even cause illness. Elderberries contain cyanogenic glycosides, or cyanoglycosides, which can cause a drop in blood pressure, abdominal cramping, headache, vomiting, and other unpleasant symptoms that may require medical attention. Elderberries are not the only food to contain cyanoglycosides; yucca (tapioca), lima beans, almonds, sorghum, apple seeds, cherry juice, and bamboo shoots also contain cyanoglycosides. Like elderberries, these foods are quite safe to eat when properly prepared. One of the most significant benefits of the elderberry is its action against some types of harmful organisms. In fact, that's one of its most attractive features for those who participate in natural health. Elderberry extracts, syrups, tinctures, lotions, capsules, and teas are available for purchase at many retailers. Have you used any elderberry products? Tell us about your experience in the comments! Peterson, Scott J. COMMON ELDERBERRY. N.p. : United States Department of Agriculture, Natural Resources Conservation Service, 2006. Web. 25 July 2016. “Elderberry.” Hiker’s notebook. n.d. Web. 25 July 2016. “Elderberries Sambucus, spp.” Cornell. 24 May 2016. Web. 25 July 2016. Petra, Dan. “Elderberry flower wine / Socată: Romanian food recipes.” Romanian Food Recipes. 2010. Recipe. 25 July 2016. “Poisoning from Elderberry juice -- California.” Centers for Disease Control. CDC, 6 Apr. 1984. Web. 25 July 2016. New Zealand Food Safety Authority. CYANOGENIC GLYCOSIDES. New Zealand: n.p., 2010. Information Sheet. 25 July 2016. Zakay-Rones, Z, et al. “Randomized Study of the Efficacy and Safety of Oral Elderberry Extract in the Treatment of Influenza A and B Virus Infections.” The Journal of international medical research. 32.2 (2004): 132–40. Web. 25 July 2016. “European elder.” National Institute of Health, US Department of Health and Human Services. NCCIH, 20 Apr. 2016. Web. 25 July 2016. Ehrlich, Steven D. “Elderberry.” University of Maryland Medical Center. University of Maryland Medical Center, 1997. Web. 25 July 2016. 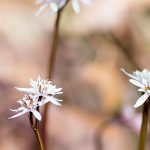 Vogl, Sylvia, et al. “Ethnopharmacological in Vitro Studies on Austria’s Folk Medicine—An Unexplored Lore in Vitro Anti-Inflammatory Activities of 71 Austrian Traditional Herbal Drugs.” Journal of Ethnopharmacology 149.3 (2013): 750–771. Web. 25 July 2016. “The Elderberry way to perfect skin.” University of East Anglia. ScienceDaily, 6 July 2007. Web. 25 July 2016. Kozłowska, A, and D Szostak-Wegierek. 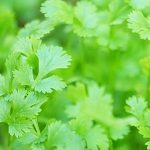 “Flavonoids--Food Sources and Health Benefits.” Roczniki Państwowego Zakładu Higieny. 65.2 (2014): 79–85. Web. 25 July 2016. “Phytochemicals.” Oregon State University. 2016. Web. 25 July 2016. KongFan‐kun. 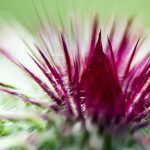 Pilot Clinical Study on a Proprietary Elderberry Extract: Efficacy in Addressing Influenza Symptoms. 2009. N.p. : Online Journal of Pharmacology and Pharmacokinetics, 2009. Web. 25 July 2016. “Effects of Anthocyanin on skin health and markers of cardiovascular disease risk - Tabular view.” Clinical Trials. 14 Dec. 2007. Study Record Detail. 25 July 2016. 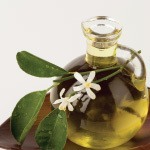 What Is Neroli Oil and What Is It Used For?